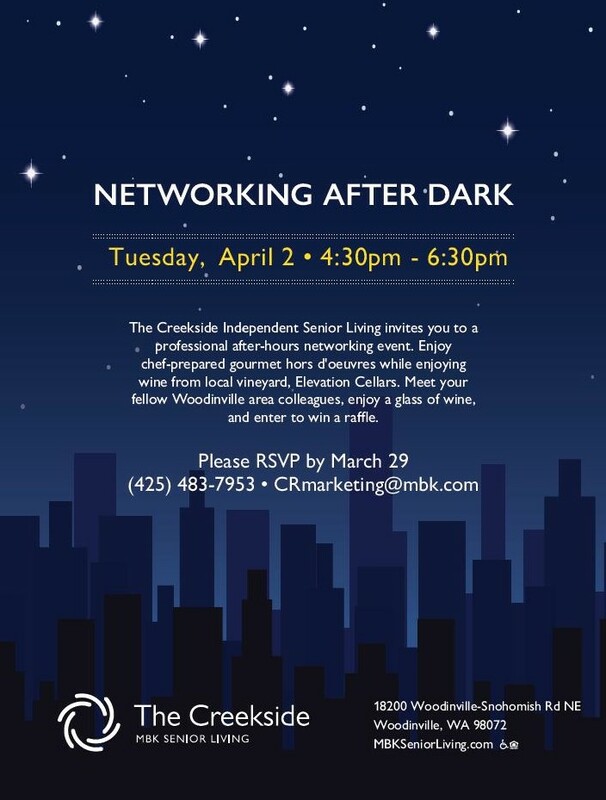 The Creekside Independent Senior Living is hosting a professional after-hours networking event on Tuesday, April 2nd from 4:30-6:30pm. Wine will be provided by Elevation Cellars, and hors d’oeuvres presented by The Creekside’s MBKuisine kitchen. 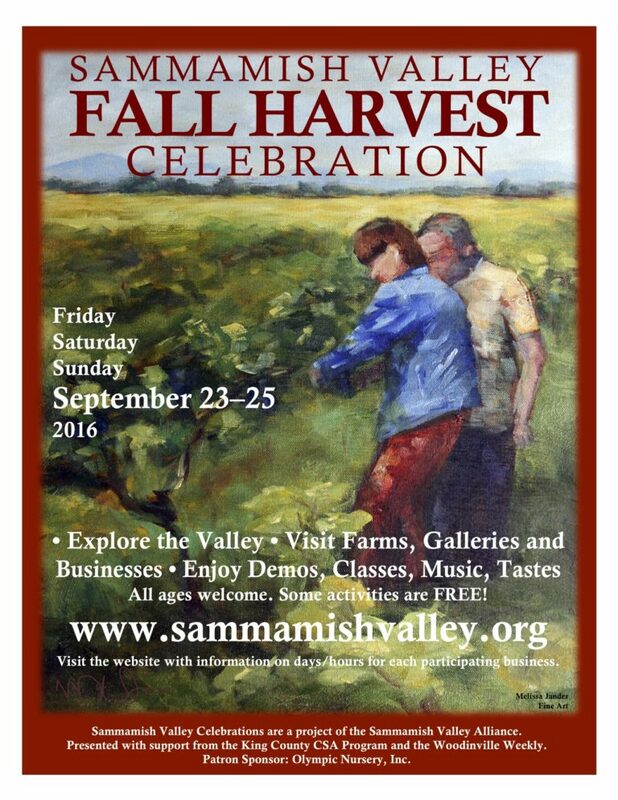 Meet your fellow Woodinville area colleagues, enjoy a glass of wine and enter to win a raffle.